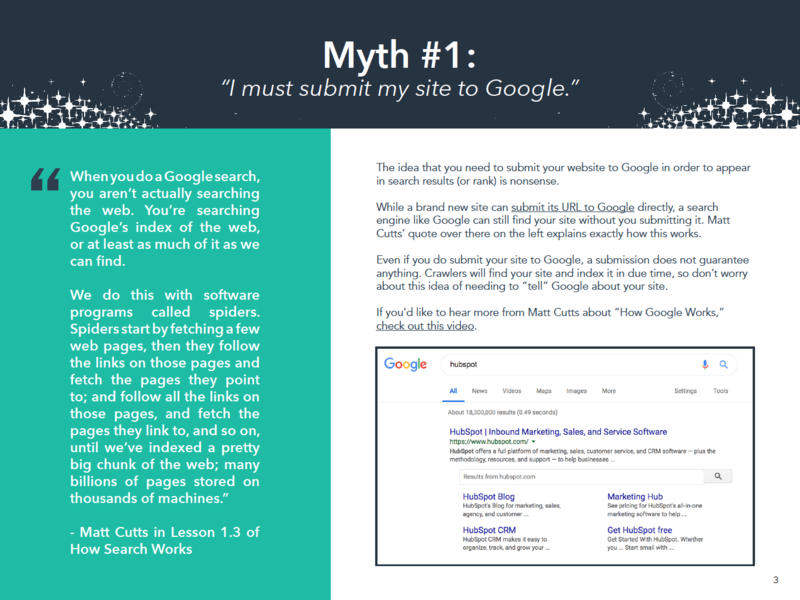 OVER 50,000 COMPANIES ARE ALREADY USING THIS GUIDE TO IMPROVE THEIR SEO STRATEGY. To say SEO has “changed a lot” would be the understatement of the decade. We’ll often see multiple updates per year from Google – including the Chrome security warnings rolled out to non-HTTPS sites in July and the core “Medic Update” in August. 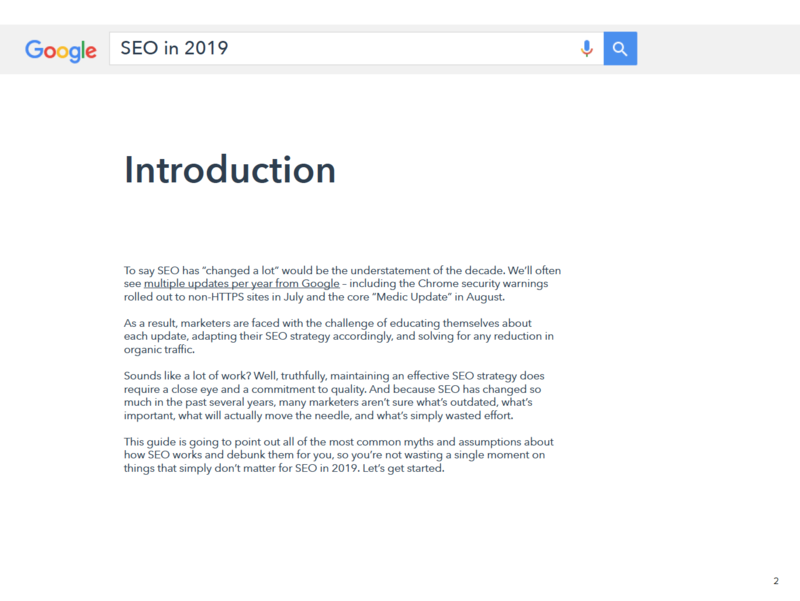 As a result, marketers are faced with the challenge of educating themselves about each update, adapting their SEO strategy accordingly, and solving for any reduction in organic traffic. Sound like a lot of work? Maintaining an effective SEO strategy does require a close eye and a commitment to quality. And because SEO has changed so much, many marketers aren’t sure what’s outdated, what’s important, and what will actually move the needle. 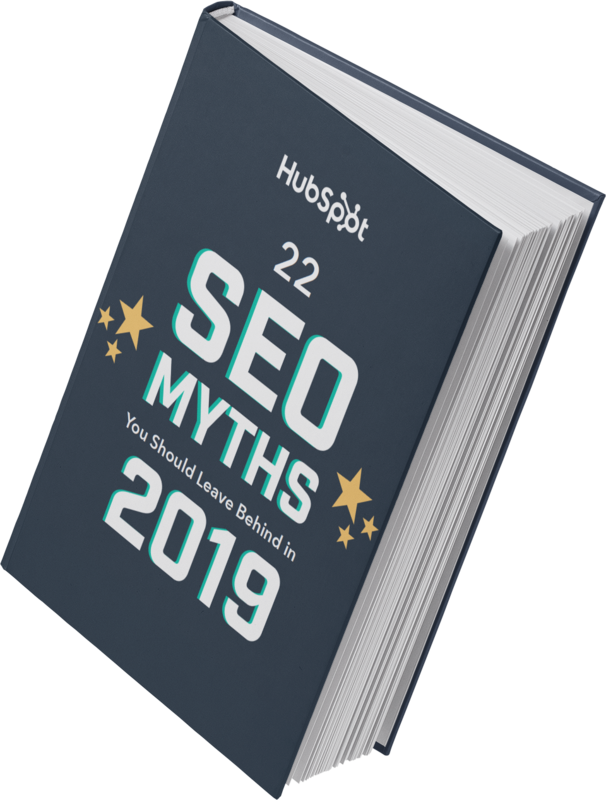 Luckily, this guide is going to point out all of the most common myths about how SEO works and debunk them for you, so you don't waste a single moment on things that don’t matter in 2019. How much does having a secure HTTPS website matter? Do meta descriptions have a big impact on search rankings? 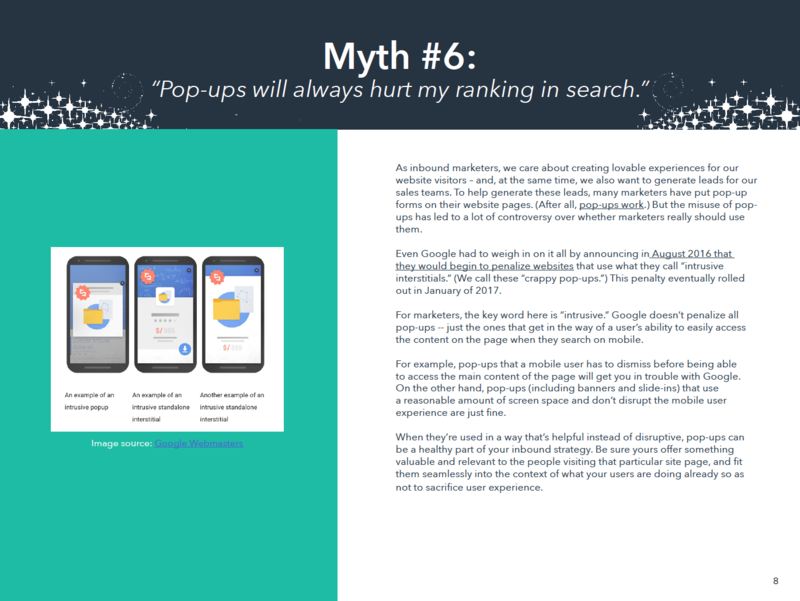 Do pop-ups always hurt my search ranking?